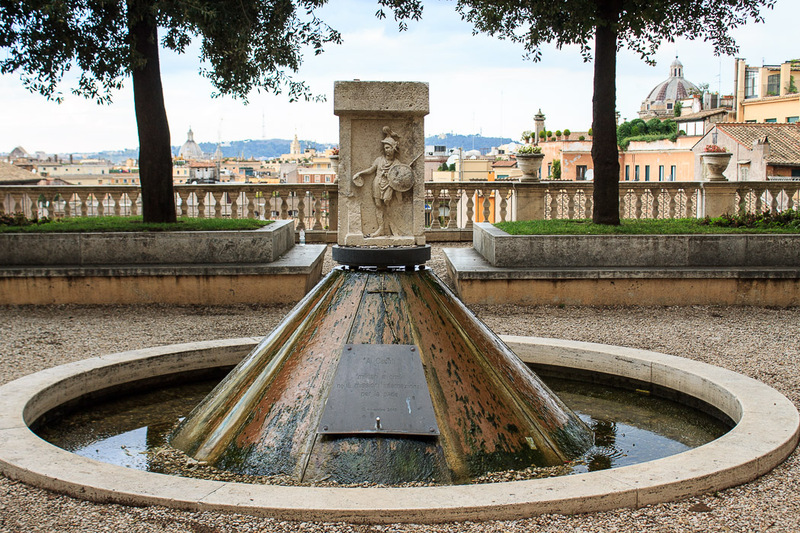 The Fountain in Piazzale Caffarelli is a modern fountain on the Capitoline Hill. Just make a right turn as soon as you reach the top of the stairway up to the Campidoglio, walking along the right side of the Palazzo dei Conservatori (the entrance building of the Capitoline Museum) and you'll soon reach Piazzale Caffarelli, a small piazza (actually, more like a terrace) paved with small stones, with this fountain in the center. The fountain has a warrior on the top that reminds me a bit of the Sabine Warrior associated with the Lacus Curtius in the Roman Forum. Beneath that is a copper (?) cone, where water bubbles out the top and flows down the cone into a round basin at ground level. 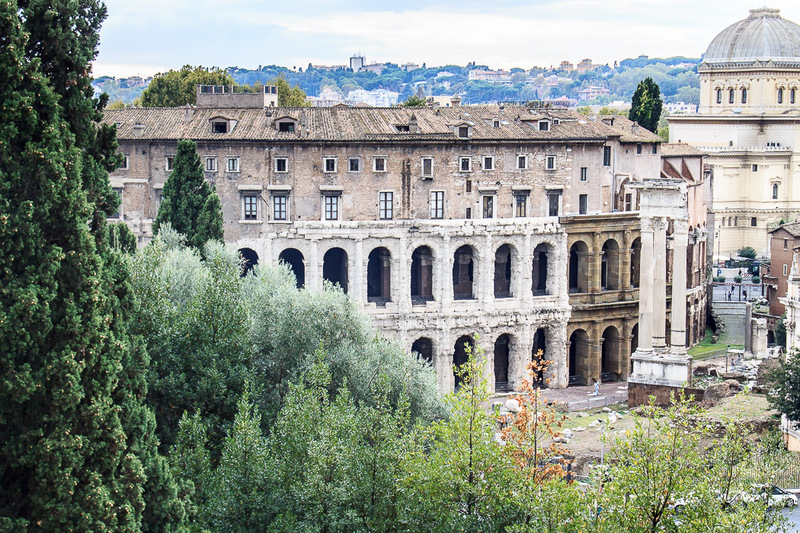 The view from this terrace is quite nice, including a the beautiful view of the Theatre of Marcellus and the Temple of Apollo Sosianus in the second photo below.